← Best Photo Ever Taken of Barry Bonds? Rose, the Phillies’ first baseman, had been trailing the play. “First big league hit, huh?” said Rose. 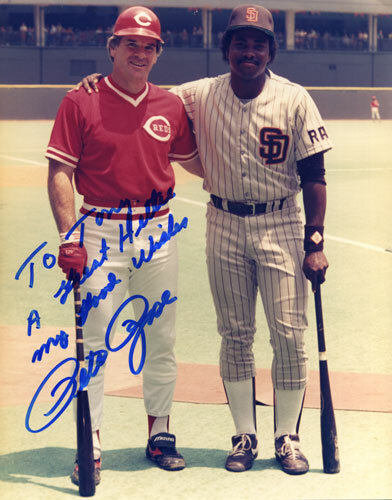 “Yes, Mr. Rose,” said Gwynn. That’s when Rose stuck out his hand. 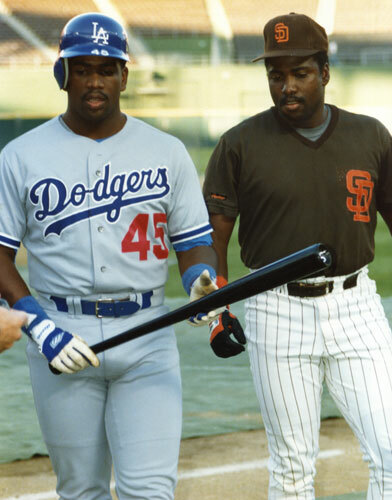 Gwynn accepted it with a big grin on his face. How rad is that? Love it. 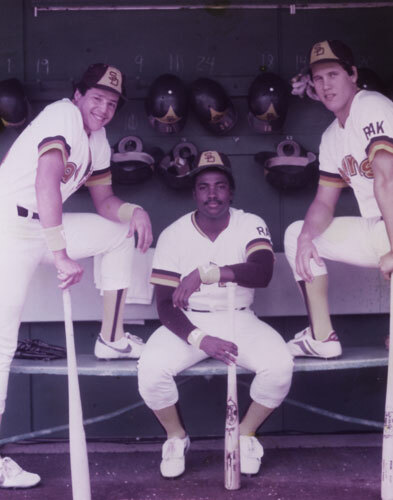 Today also marks the start of a new website for Tony Gwynn. Click to enlarge. That’s a screenshot of his home page. A pretty cool trip down the “Padres uniform history” lane. 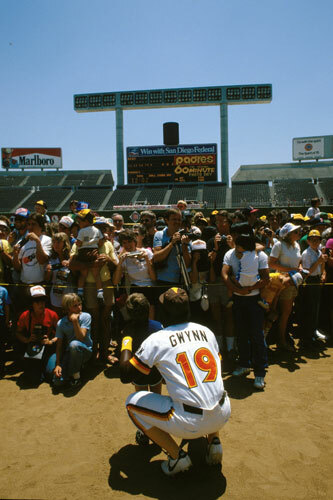 There are a bunch of amazing Gwynn shots on his site actually. Here are a few of my favorites. 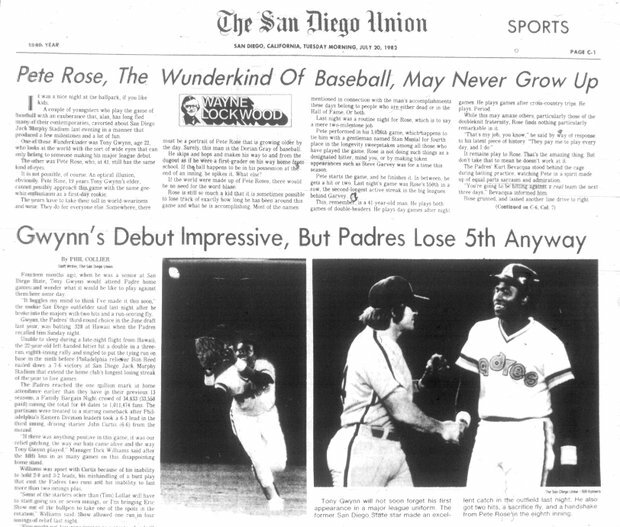 This entry was posted in Baseball, MLB and tagged Padres, San Diego Padres, Tony Gwynn, tony gwynn first hit, tony gwynn hall of fame, tony gwynn website. Bookmark the permalink.